if they have no account on the Episciences platform, they must create one. Repository : choose the repository where the manuscript is uploaded. 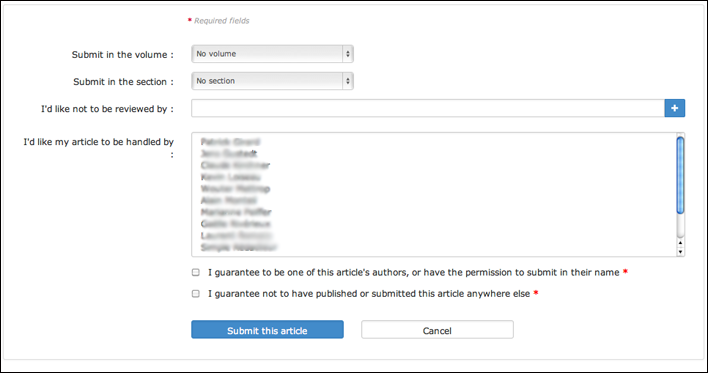 The author can choose a volume and/or a section of the epi-journal where to submit the paper. 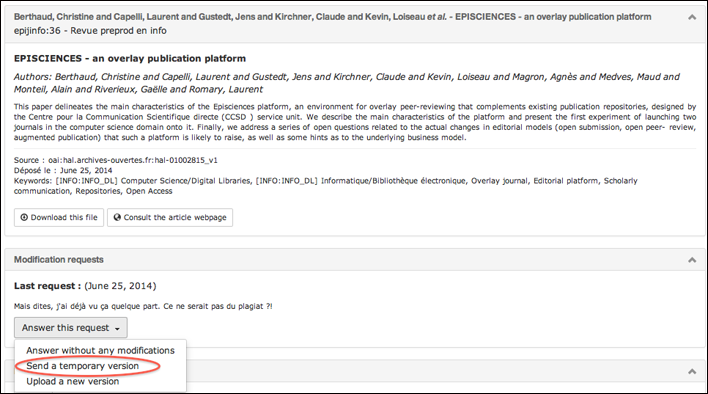 Depending on the epi-journal, it is possible to suggest the name of reviewer(s) and/or choose from editors of the epi-journal. The final choice is made by the chief editor. When authors have been notified that their paper needs to be modified, they can work on it and then submit the new version to the journal. Option 1: Update the entry on the open access repository : after uploading the amended version, connect to the Episciences platform, click “answer this request” on the paper’s page and select “upload a new version”. 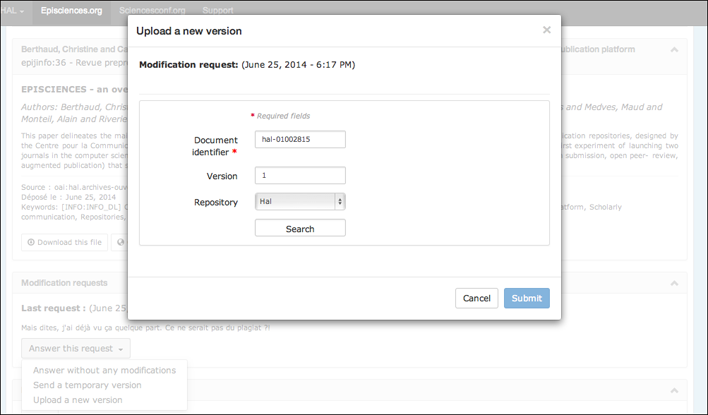 Option 2: Submit a temporary version of the amended paper (without any upload on the repository). Connect to the Episciences platform, click “answer this request” on the paper’s page and select “send a temporary version”. This new version of the paper won’t be available on the repository, it is only saved on the Episciences platform. please note that when the paper is validated by the editorial board, you will have to upload the final version on the repository before the final acceptation. The paper is stamped and its bibliographical references (such as the journal’s name) are automatically updated on the open access repository. The paper becomes also visible on the journal’s website.